This 19" D-LED has built in DVB-T (Terrestrial Freeview) and DVB-S2 (High Definition Satellite) Receiver for Freeview TV as well as pay-to-view for all your favourite movies and sports channels. 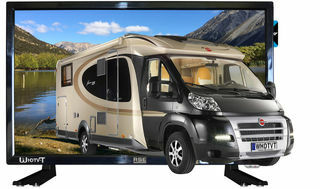 This TV also has RSE's exclusive Wireless Audio Technology for FM and Bluetooth transmission and our One Touch button functions for satellite finder, house battery voltage display and Wireless Audio Technology functions, USB Port for full Media Centre capability and built in PVR storage with twin tuner. CLICK LINKS TO SEE ACCESSORIES TO SUIT THIS PRODUCT. 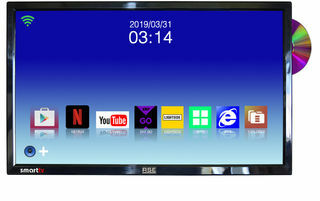 This 24 D-LED has built in DVB-T (Terrestrial Freeview) and DVB-S2 (High Definition Satellite) Receiver for Freeview TV as well as pay-to-view for all your favourite movies and sports channels. 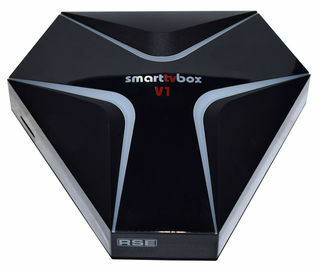 This is a dedicated 12V D-LED 32" DVB-T (Terrestrial Freeview) and DVB-S2 (High Definition Satellite) Receiver for Freeview TV as well as pay-to-view for all your favourite movies and sports channels, now also with RSE's exclusive Wireless Audio Technology for FM and Bluetooth transmission and our One Touch buttons functions for satellite finder, house battery voltage display and Wireless Audio Technology functions. DVD (side loading) and has a USB Port with full Media Centre capability, external hard drive use and built in PVR (Personal Video Recording). Because the 32" WHDTV only weighs 4kgs almost any bracket can be used for mounting. 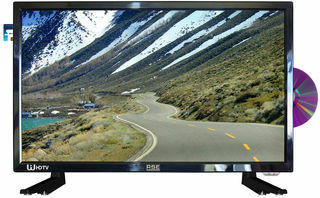 15.4" LCD TV ideal for the boat, spa, swimming pool area or bathroom.